Jun 26, 2018 Produced by：Japanese Big & Tall Clothing Mid international. When you think of Japanese culture many thoughts may come to mind, whether it’s sushi, anime, manga or gaming, but one strong image is the intricate styling of the traditional Japanese kimono. 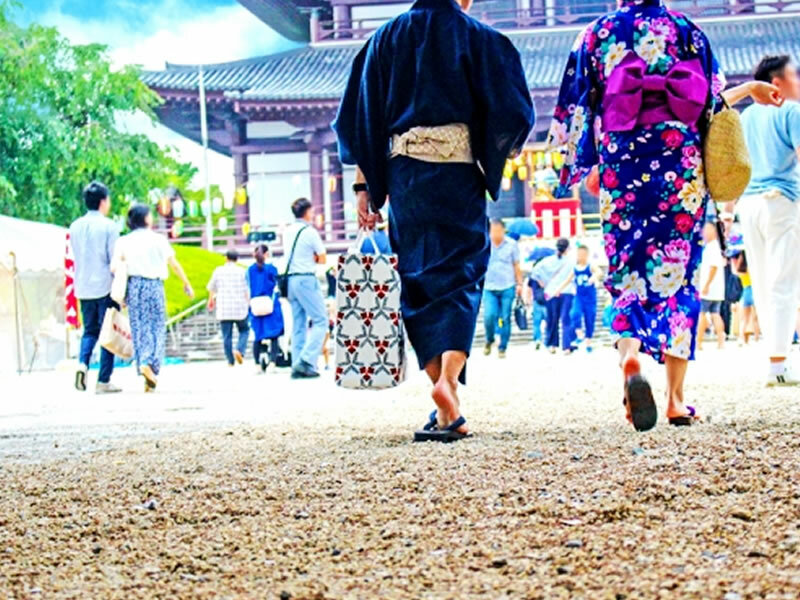 The kimono is layered with dozens of meanings and rituals, but you might be surprised to know that there are summertime variations that are a lot more casual and accessible—the yukata and jinbei. A favorite of many Japanese during the summer, the yukata and jinbei not only keep you cool but come in hundreds of designs and patterns that allow you to express your own unique style no matter your shape or size. Here at MID we stock a number of unique big and tall yukata and jinbei from exclusive Japanese brands, ranging from traditional styles to fun and modern designs, all in extra large sizes from XXL to 8XL. But first things first: what are yukata and jinbei, how do you wear them properly, and what do you do with your feet? Keep reading to find out! Like the kimono, yukata have been worn in Japan for hundreds of years. Its name is derived from the Japanese words yu, or bath, and katabira, under-clothing, a garment which noble men and women wore after their baths. The popularity of this loose and simplified version of the kimono soon caught on with Japanese warriors and eventually the general public as bathing in onsen (traditional-style hot springs) became more widely accessible among the classes. The unlined cotton yukata are lighter, less expensive than kimono, and can be easily cleaned at home. Today, yukata are not only reserved for onsen but are also worn to summer festivals and fireworks displays. You don’t necessarily have to wear the obi. While an obi, or sash, is included in most yukata sets, it isn’t necessary to use it at onsen as the yukata can also be worn open (as long as you’re wearing something underneath, of course). This is a good option for those larger around the stomach or waist who prefer a loose fit. For those who want to use their obi, there are two ways to tie it. At an onsen, the obi is wrapped low around the hips close to the pelvis, and also tied at the front. If you’re planning to wear your yukata outside to a festival or event, the knot of the obi should be at the back—again at hip level. Make sure each of the belt ends are even before tying the obi. Some yukata come with an additional wide-sleeved coat that falls just below the waist called a haori. This coat is often used in the cooler months, and most commonly found at ryokan, or traditional Japanese inns, in addition to onsen hot springs. Yukata look especially good on people with larger builds. In fact, many of those on the more slender side often place a towel at their waist before wrapping the obi in order to give off a “fuller” physique. Where kimono and yukata are traditionally a single draped layer tied with a sash, jinbei come in a two piece set—shorts and a jacket. They were originally used as house-wear for men, but now are quickly gaining popularity with women as well. Like yukata, jinbei are popular to wear during summer due to their lightweight fabric, wide range of motion, don’t need to be tied with an obi sash, and are very easy to put on. Unlike the various patterns and designs that can be found with most kimono and yukata, jinbei often come in simplified patterns and muted colors such as indigo, blue or black. Jinbei are often the best choice for active people as they offer a better range of movement with the re-sizable drawstring shorts and loose-fitting jacket. 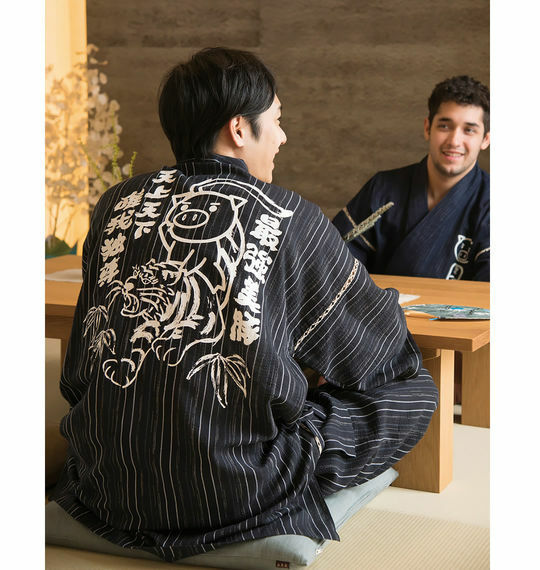 Additionally, while there are many steps and rules to putting on kimono and yukata, there aren’t any concrete formalities when it comes to jinbei. With jinbei you really can just “throw it on and go,” which works well for people who don’t want to think too much about rules and formalities when getting dressed. Now that your bodywear is covered, time to move on to footwear! Geta, or traditional Japanese sandals, are wooden footwear that are often worn with kimono, yukata, and jinbei in some cases. They are well known for their unique clacking sound and looking like they have one or two “teeth” supporting the wearer as they walk. The height of the wooden teeth varies, but their original purpose is to prevent the wearer’s kimono or yukata from dragging on the ground. 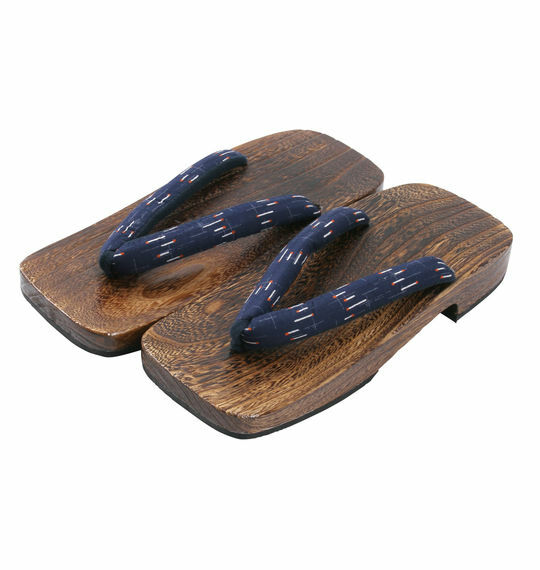 While today many kinds of shoes can be paired with yukata or jinbei, geta are recommended for anyone who wants to get into the full spirit of their traditional Japanese outfit. For those more comfortable with flexible and familiar soft sandals, there is a variation of the geta called zōri—a style of sandal similar to Western sandals that is flat and made with softer materials. With your newfound knowledge of yukata, jinbei, and traditional Japanese footwear, why not try mixing up your style with inspiration from these big and tall outfits put together by the MID team? This easy-to-wear big and tall sized jinbei outfit inspiration features a mix of muted browns and darker tones that flatter just about any man at any shape. Combined with this cheeky BUDEN SHOUTEN jinbei, look suave during summer with a dash of fun mixed in. Black will never go out of style, and this all-black ensemble complemented by subtle color accents will have you turning heads! This unique big and tall yukata features a dragon in white and gold embroidered onto its back, which adds a touch of contemporary cool to this classic outfit. If you’re one to experiment a little with your outfits, the colorful polka dot design of these geta is an eye-catcher that also helps give this big and tall jinbei outfit a smooth balance from head-to-toe. 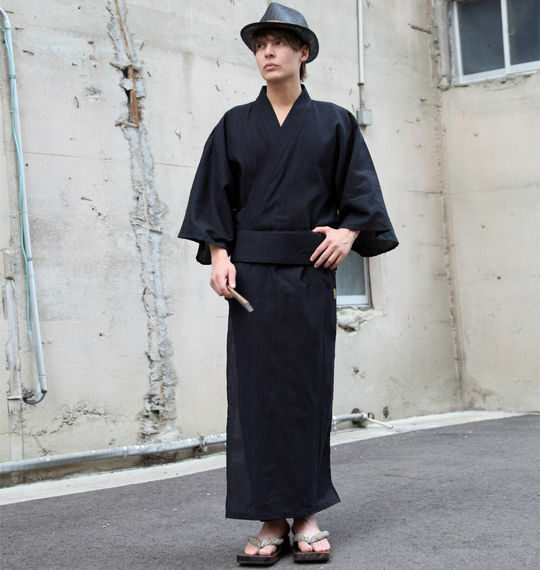 Looking for even more big and tall yukata, jinbei, accessories, and other traditional items? Click here to check out MID’s complete collection of traditional-style Japanese products.